Summer BBQs always bring me back to my childhood and my dad’s amazing skills with grilling. 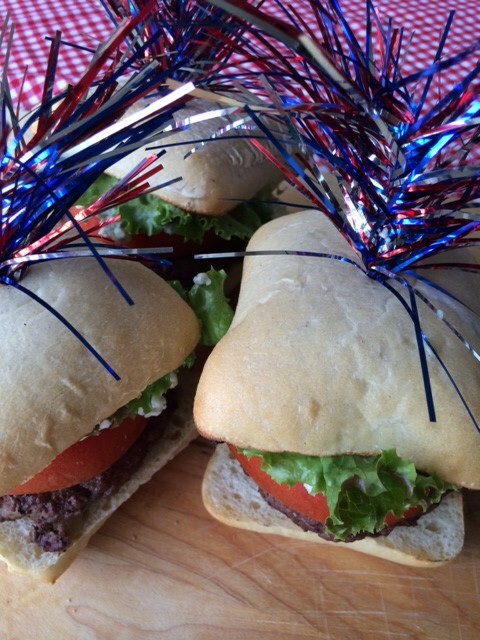 While he spoiled my family with delicious steaks, chicken, and ribs, his specialty were these Red, White and Blue Cheese Burgers, which he always claimed were his favorite thing to make, and they quickly became one of mine as well! 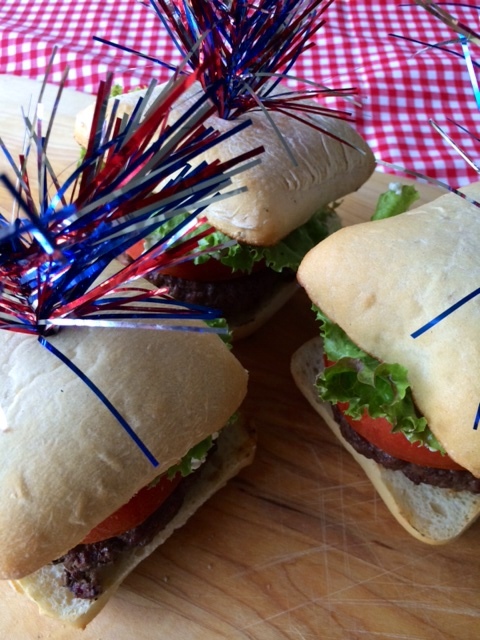 Served on a toasted, warm ciabatta bun (but any hamburger roll will work), these burgers are so flavorful, and are very easy to make. Cooking the patty to a medium or medium rare temperature, and then adding on fresh lettuce, tomatoes, and blue cheese crumbles give it that amazing flavor that just exemplifies summer BBQs. 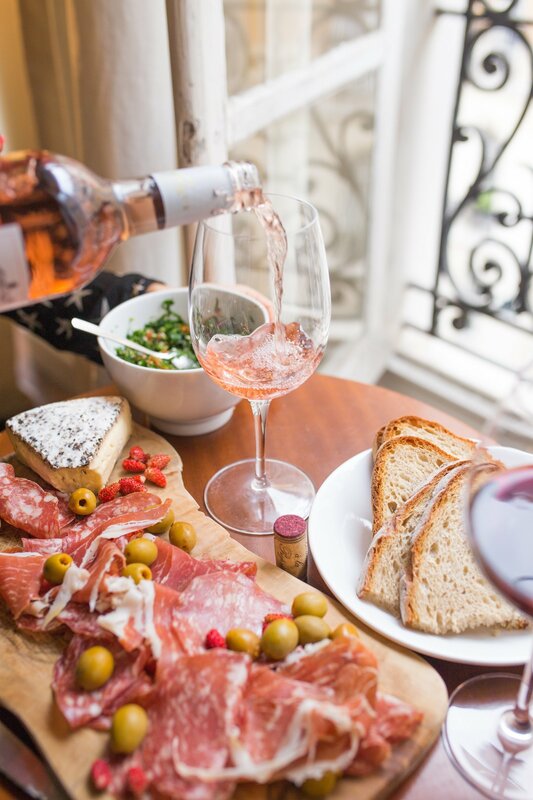 They can be served with a side of crunchy Cape Cod potato chips, oven roasted potatoes, or a fresh salad. 1. In a large bowl mix the meats, bread crumbs, steak sauce, eggs, salt, and pepper with a fork. Be careful not to mash ingredients though. 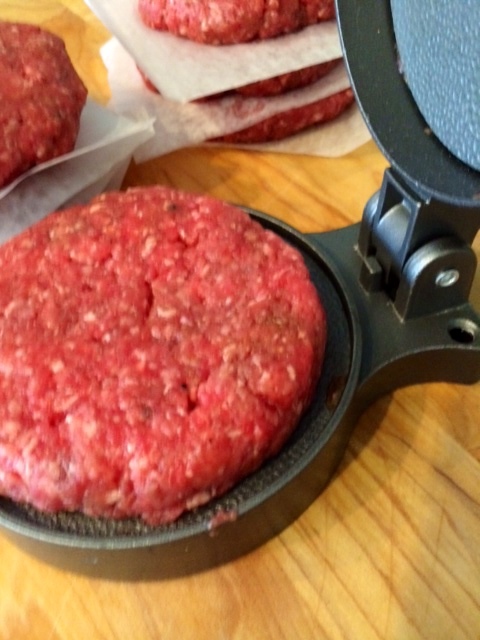 Form hamburger patties and press on a hamburger press. 3. Cook the hamburgers for 5 minutes on 1 side, then turn and cook 4 minutes on the other side for medium. Once cooked, remove from grill and place on a tray. Meanwhile, grill the buns, cut side down, for 1 minute, until toasted. 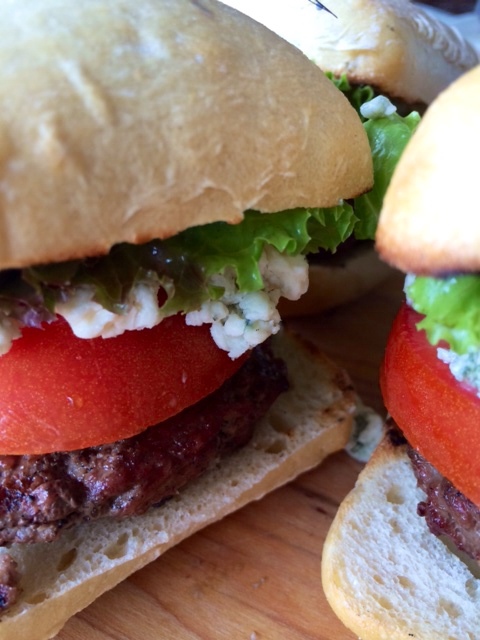 Place a hamburger on each bun, plus lettuce, tomato, and blue cheese. Serve hot.